Do you enjoy bocce ball or shuffleboard? 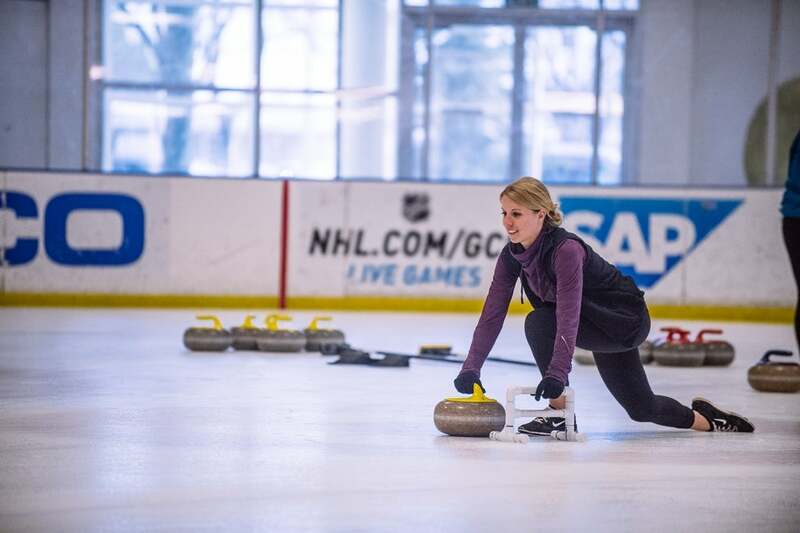 If so, then chances are good that you'll love the popular sport of curling! The game is easy to learn and is great for individuals or groups of all shapes, sizes and skill levels. Over the past few years, the sport has become quite a hit as part of our corporate or group events as it caters to everyone, is somewhat competitive in nature, and most importantly its safe and fun! 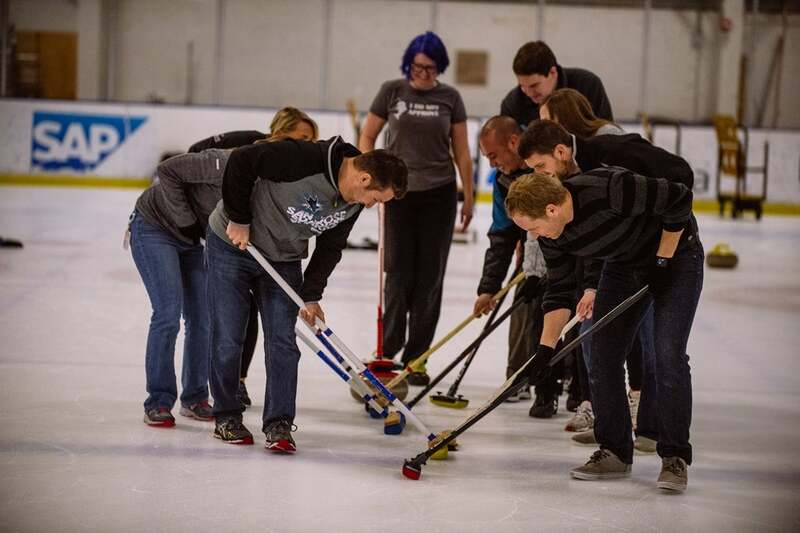 Don’t worry if you don’t know the game, our local group of curling experts will teach you all of the skills necessary to make your first attempt a rock smacking success, and Solar4America Ice at San Jose will provide the stones and brooms you’ll need! Each team has a skip that acts as team captain and strategist. Strategy is a major factor in curling and is as important as shooting skill. Some people call curling “chess on ice”. Each player shoots or delivers two stones at each end, or inning, alternating with their counterpart on the opposing team. 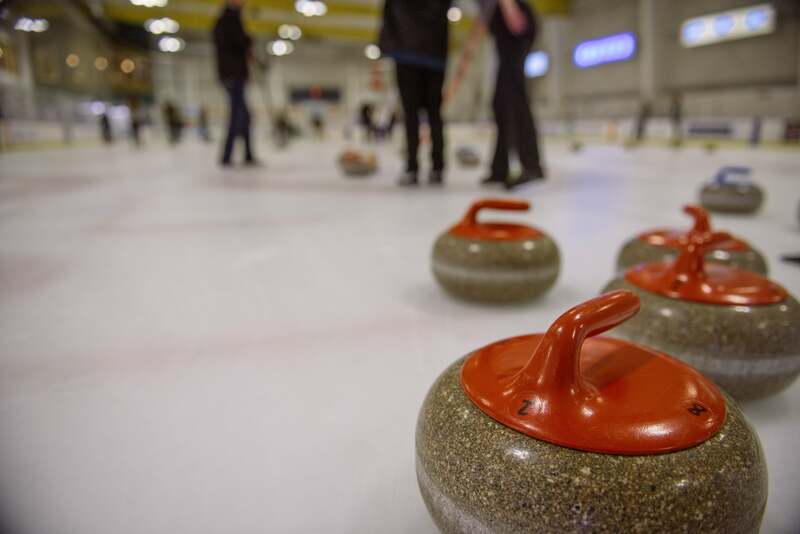 Curling is designed to allow play in both directions. All four team members shoot two stones at each end and sweep for their teammates’ shots. While one player shoots, two sweep as needed. Sweeping polishes the ice so the stone travels farther and vigorous sweeping requires fitness. The object of shooting is to get the stone, or rock, to come to rest at a predetermined place (a draw or guard) or to move another rock (a takeout or raise). The score is determined after each end of 16 stones. A 12-foot circle, the house, is the scoring area. Stones in the house must be closer to the tee (center) than any opposing stone to score. The maximum score in one end is eight points. Typically, one to three points are scored. Curling equipment includes a specially made broom or brush (clubs often furnish brooms for new curlers). Many curlers wear colorful curling sweaters, but any loose fitting, layered clothing can be worn. Shoes should be flat soled, clean, and should grip the ice well for walking. For the delivery, a “slider” should be worn on the sliding foot to allow a long, smooth-sliding follow through. 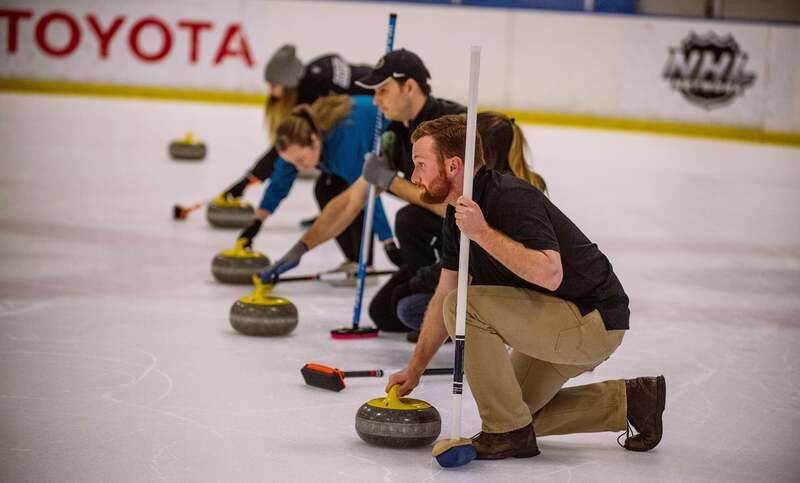 Private Curling events are typically 2 hours long and available on weekdays in the early afternoon. For more information and availability, email Group Sales or call Salvatore Barranco at 408.999.6706 with the number of participants and requested dates/times.